Hi! Happy almost-Friday! 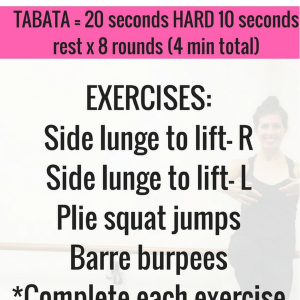 Get ready for a barre HIIT combo workout – plus a video so you can follow along! Livi and I are on our way to Tucson for the weekend. The Pilot had some work travel, and the timing ended up being perfect for us to make a little AZ trip: it’s my brother Kyle’s last weekend in Tucson before moving to Massachusetts. 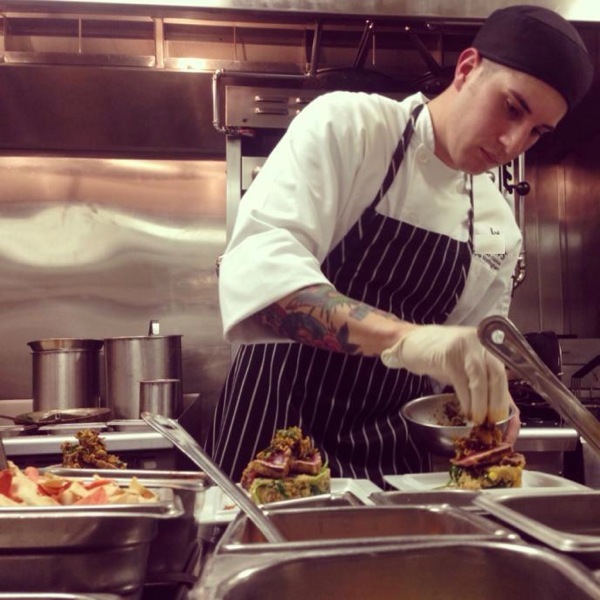 He was offered an amazing job opportunity – Chef de Cuisine at the age of 24, no big deal – and I’m excited to hang out with him and see them fam before the big move. I’m really proud of my little bro. -As always, check with a doc before making any fitness changes. Honor your body; modify and rest as needed! -Those with hip/knee/joint considerations should be mindful of these exercises as they include deep flexion at the knee and hip joints. If you have significant knee, joint or hip considerations or past injuries, this may be one to skip. If you need to, modify the exercises, or potentially decrease the range of motion. -The intervals in this workout are low impact, but high intensity. If you’d like to add impact movements (jumping), I give some guidelines for that, too. To get in a full workout, combine this video with last week’s Barre/HIIT combo and this barre strength workout. Thanks for the barre ideas. Always looking to spice things up! 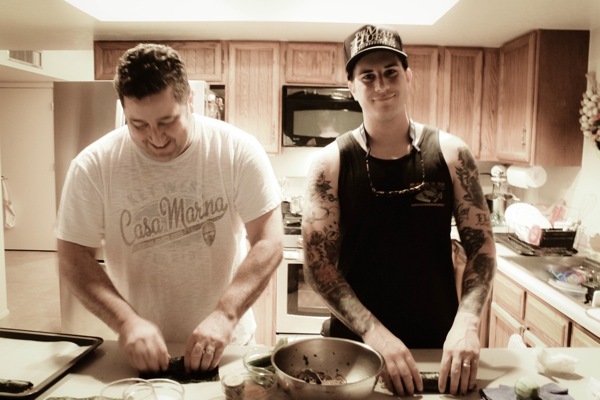 Men that cook? Love it! 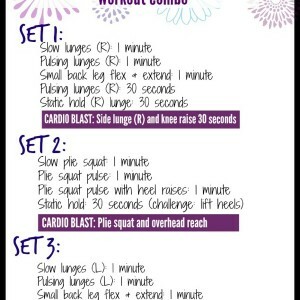 Love these workouts, thanks so much for posting them! I was thinking the same thing! I’m so glad I’m not alone in my love for terrible puns. What do you mean by low inpact but high intensity? I always thought they were the same thing, impact and intensity? you can intensity (increase heart rate) without impact (jumping). So cool about your brother, congrats to him! Yay for young people pursuing what they love =). Hiit and barre it. Kind of like grin and bare it. Congrats to your brother, boston is an awesome city, it just gets to cold for me. Wow, congrats to your brother!! Have a great weekend! Congrats to your little bro!! I live in Massachusetts would love to know what restaurant he’ll be the Chef at if your allowed to say! he’s helping to plan and develop the menu -the restaurant is brand new- and when i can spread the word, i definitely will! i can’t post the full details yet, but i certainly will!! Count me in as wanting to know the restaurant when you are able to:) Another Bostonian here (transplanted from So Cal)…the best of luck to him and Meg! Good luck to your bro! I grew up in Mass and it is a great place to live (except for the cold winters!). Love the video! Congrats to your bro!! That’s so awesome! I am also super excited by this workout! When I strength / cross train, I usually like to keep it low-impact to balance running, but those types of workouts are so often low intensity and don’t make me feel like I am truly working. I’m quite sure this one will be different! Bar Biitch …. :o) I’m LOVING these, btw!!!! hahah so good!!! happy you’re enjoying them! Congrats to your brother, what an awesome opportunity/achievement! 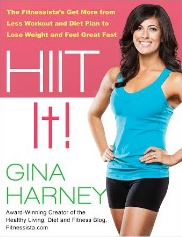 I like the idea of HIIT as it gets colder and I’ll need some indoor home workout options. Congratulations to Kyle on what sounds like a wonderful opportunity! I hope he has his warm clothes ready because it’s starting to get a little chilly in New England (but still absolutely gorgeous with the foliage). 🙂 Let me know if you’re ever visiting and want to come down to CT…New Haven Pizza=you won’t want to eat anything else. lol. I third this! I would LOVE to experience one of your classes! And some of your brother’s food! Girl I think you’re onto something with this Barrre Blast idea! Just sayin…. 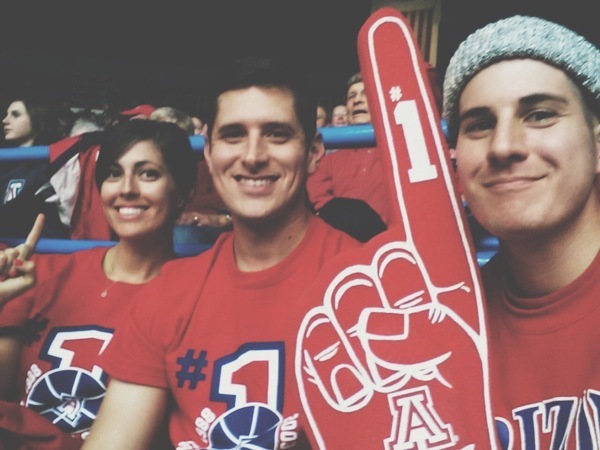 Have fun in Tucson and congrats to your brother! HITT the Barre is the first thing that came to mind. Have a great time visiting family in Tuscan! You’ll have a wonderful time I’m sure! 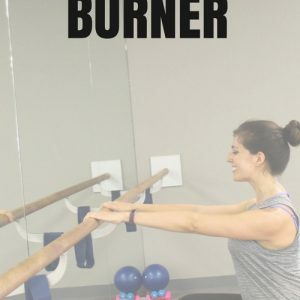 I LOVE HIIT the Barre! you got some clever commenters! i love that one, too! so many awesome suggestions! I’ve got it! Call it a “Barre Necessities” workout. It’s all the strength and quick cardio you need to get your heart pumping and muscles burning for an efficient workout! What a great video…I hope I can squeeze it in tonight after work 🙂 I loved the last one you posted! How exciting for your brother! I hope you have a great trip. And thanks for the new Barre ideas. Looks like a good one! Congrats to your brother!! What an incredible opportunity! Love the Barre video. That purple top is super cute. Wow! Congrats to your bro! Very impressive…I know you must be so proud. And what a fun place to have an excuse to visit! Thanks for the barre/HIIT video! I vote for barre and HIIT it! Have him check out chocolate springs in lenox mass, my sister is a chef there and it is life changing chocolate. 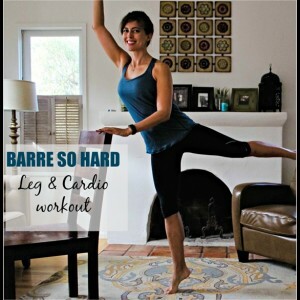 Love the baare I’ve always wanted to try a baare workout. i will definitely tell him!! Oh goodness I just noticed my spelling errors, I swear I’m normally much better about such things. Bah humbug. Congrats to your brother! Such an amazing opportunity at a young age, and a new spot for you guys to vacation 🙂 Have a safe trip! 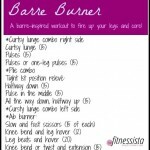 Last week I did your barre blast and loved it, but have been sore since Friday on my left outer thigh (IT band?) just the left side. If this normal DOMS do you think, or does it mean I had poor form? are you still sore today? i would definitely take it easy with your legs until it’s not bothering you anymore. doms shouldn’t last this long; it could be from a variety of things (weak quad muscles, incorrect form, etc). hope it feels better soon! Congrats to your brother – you must be super proud of him! Thanks for the workout video! 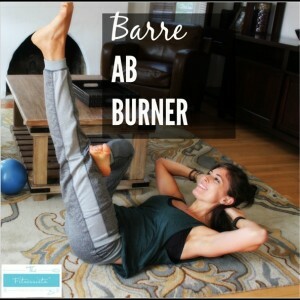 Thanks for the video – I LOVE barre and HIIT combinations! I love all your at home workouts! I always save them on Pinterest for when motivation to go to the gym wanes. Congrats to your brother. How about Barre-Blaze. ohhhh i like the sound of that!! From someone who is insanely obsessed with everything culinary related…that is a huge deal for your brother, congrats to him!! What is his cooking style? And I’m so happy you posted the video! I haven’t joined a gym since moving and I’m loving at home workouts like this! Congrats to your brother! That is such an awesome opportunity! ooh, I’m thinking ‘HIIT the Barre’! 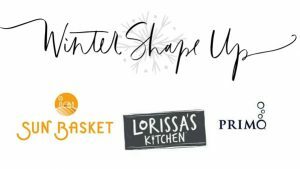 Where in Mass for you local Massachusetts readers :)? 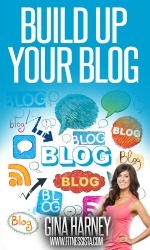 That’s so exciting and would love to try some recipes first hand rather than drool over them! Best wishes to him! Lenox!! 🙂 thank you so much! i will spread the word about the exact place when i can! Such a coincidence! I am traveling to see my family for the weekend, too, while my other half visits some friends from college 🙂 Since I don’t have access to a gym where my parents live this video will be great for the trip! Thanks so much! Love your videos, especially the barre ones! How about, “Your thighs will be barre-king”? What if you called it HIIT the barre? How about Ballet Fire? My legs are on fiiiire! Loved this. 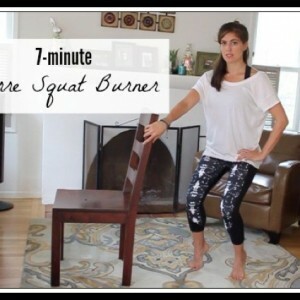 I did this video with another one of your HIIT barre combo videos. I love this combination. It’s perfect. I hope to see more like them. Thanks!